Beautiful Plum Clafoutis. Oh yes. Trust me, you don’t want to miss this one. If there’s one thing I love about this time of year (as if I could possibly narrow it down to just one…) it’s the abundance of goodness that the land is providing. Even though it’s mid-October, the farmers market is still booming, the garden is still giving (albeit a little slower) and the trees are providing a last surge of fruit for us. When I had the opportunity to purchase 25 pounds of locally grown plums for $10, I pounced at the opportunity. Not only was I able to have a sweet conversation with the old orchardist, but I was also able to hand him the cash directly. I love that. 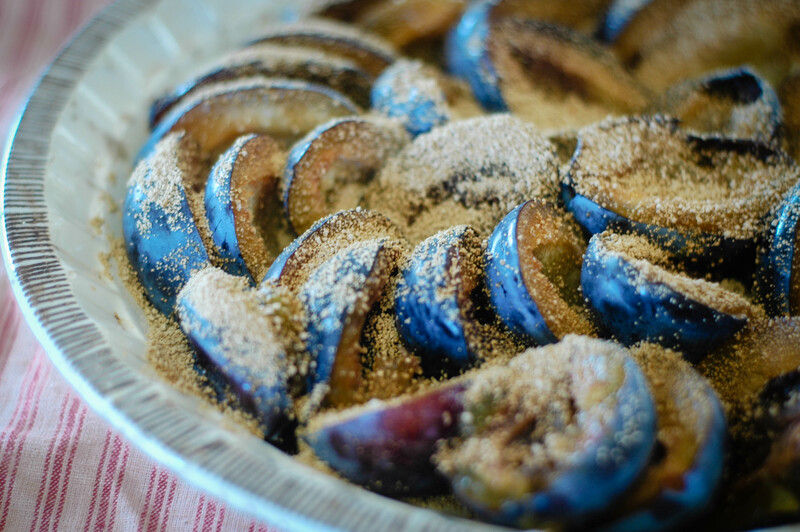 I came home with many intentions for my plums – fresh plums, dried plums, and sauced plums all came to mind. What didn’t come to mind originally was a plum clafoutis. What’s that? You don’t know what the heck a plum clafoutis is? Well, actually, I do know now. 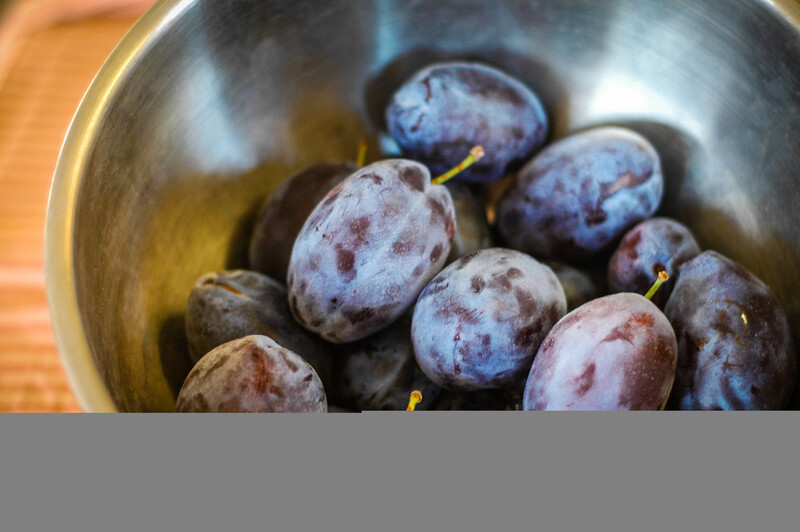 Because in my research of recipes to utilize these delicious plums, I ran across a succulent sounding recipe for plum clafoutis. Clafoutis is a rustic French dessert that resembles a souffle/Dutch baby pancake in texture. Semi-creamy. Semi-cakey. Full on phenomenal. 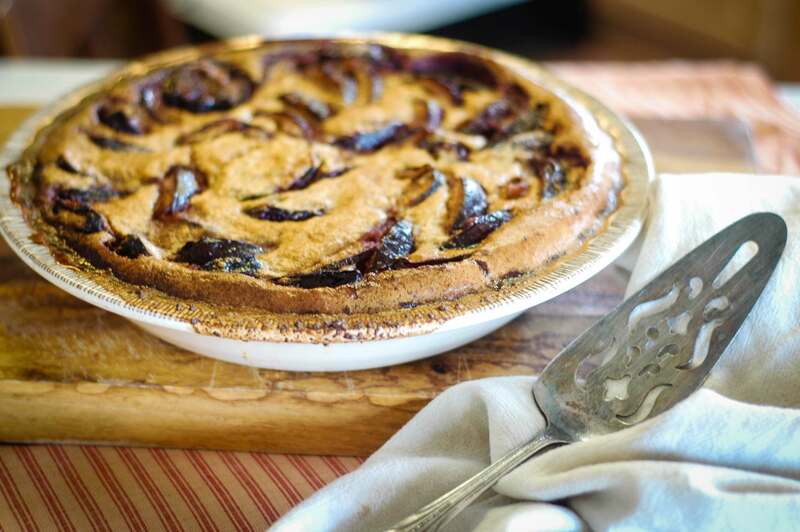 A simple batter is made that is poured over the top of halved and pitted plums, which then eagerly puffs up in the oven. Don’t be put off either. 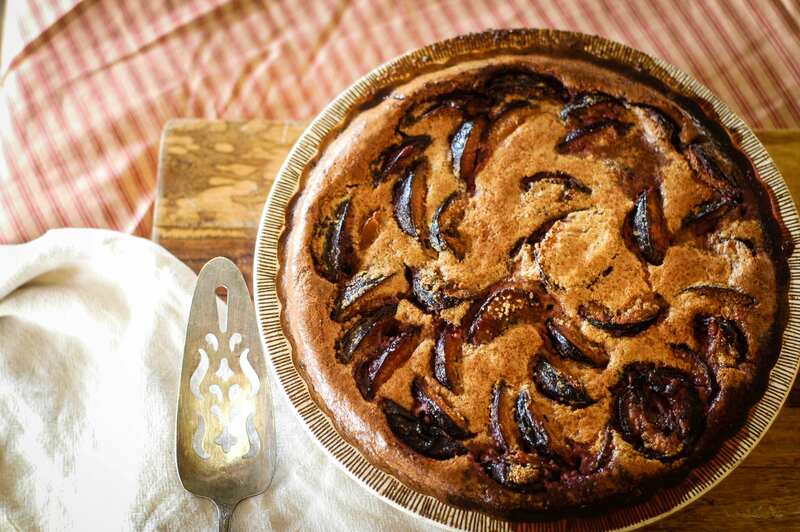 Even though Plum Clafoutis sounds like a complicated and fussy dessert – it’s anything but. It takes about five minutes to whip together and another hour or so to bake. Easy peasy lemon squeezy. I’ve rewritten the recipe to utilize whole, real foods which I’ll happily argue makes it all the more decadent. It can even be gluten-free, if that’s how you roll. Let’s get down to business. Let’s get our plum clafoutis on, baby. (That may be the first time in history that sentence has ever been written). Step One: Cut the plums in half and remove the pits. Lay, cut side down, in a baking dish. I’ve made this multiple times and used both a rectangular dish, as well as a pie dish – both worked great. I’d have used my favorite teal, terra cotta baking dish that I bought from Pier 1 last year if it hadn’t have gotten a big crack down the middle of it. WAHHHH!!! Sorry. I digress. Back to business. Step Two: Sprinkle the plums with 3 tablespoons of rapadura. 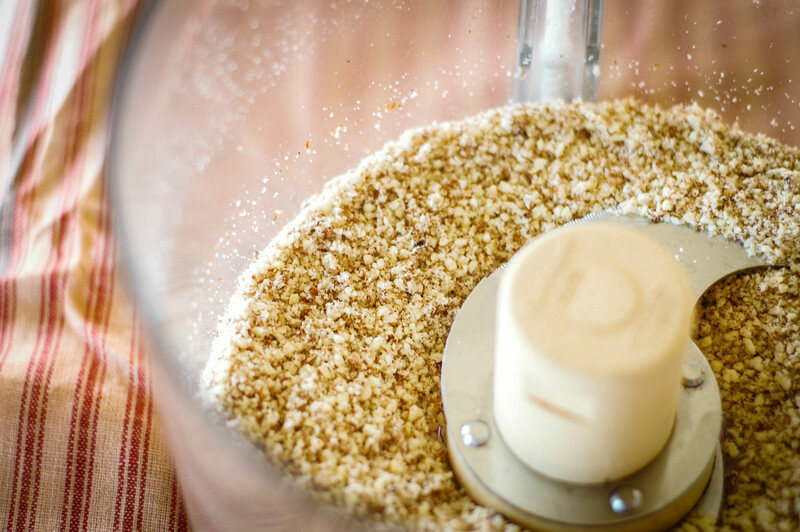 Step Three: In a food processor or high-powered blender, blend together the eggs, milk, additional 3 tablespoons of Rapadura, almond flour, sprouted whole wheat flour (or additional almond flour), lemon zest, vanilla, salt, and nutmeg. Blend for 1 minute or until nice and frothy and combined. Step Five: Bake in a preheated 375 degree oven for 50-60 minutes or until fragrant and golden. The plum clafoutis will puff up as it cooks so if you’d like, you can turn on your oven light, pull up a chair, and watch the magic happen. Not that any sane person would do such a thing. Ahem. Step Six: So. That was pretty easy, wasn’t it? All that’s left to do is devour this. And by devour I mean seriously, you’re going to want to shove your face into this thing and never come up for air. Say goodbye to your husband. Say goodbye to your kids. From now on, it’s just you + plum clafoutis 4ever. Light. Fragrant. Sweet, but not overly sweet. 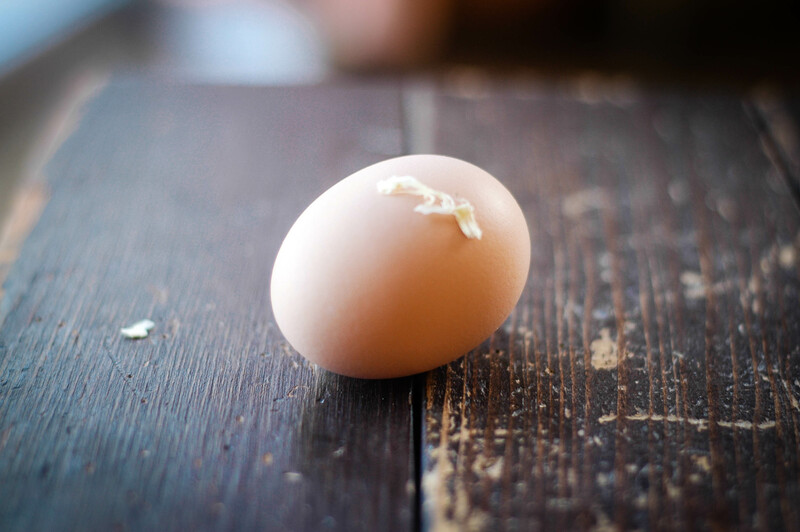 Not so sweet that, let’s say, you couldn’t eat it alongside your eggs in the morning for breakfast. Or for snack. Or for lunch. Or as a side-dish to dinner. And yes. I’ve totally done all of them. 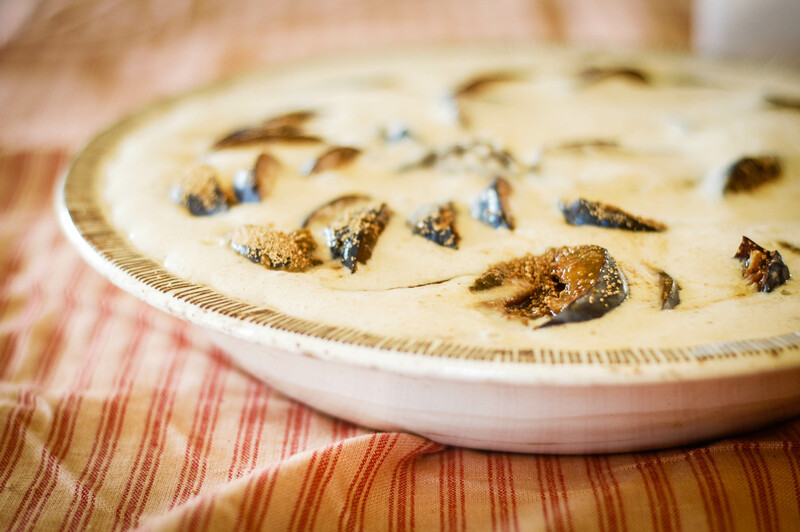 Because every time we eat the whole thing, I simply whip up another one and thus, I’m finding all new times of day that such a wonderful dish, this lovely plum clafoutis, can be enjoyed. I think you’ll love it. Scratch that. 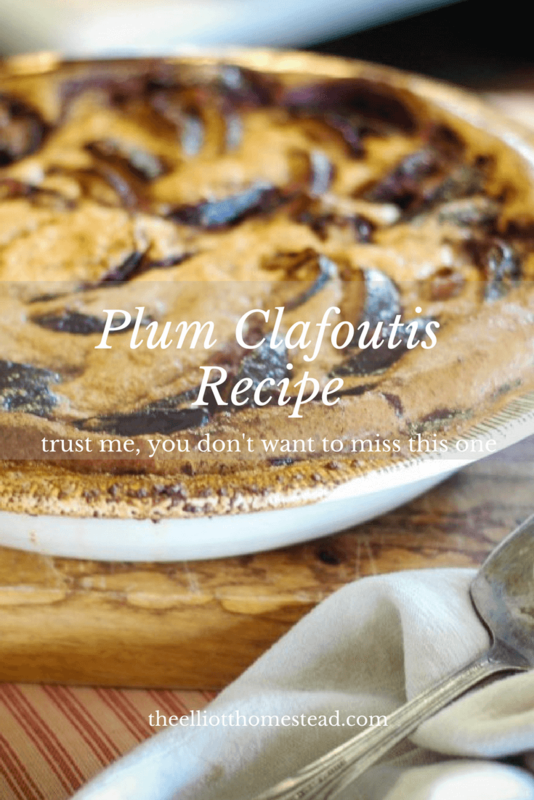 I KNOW you’ll love Plum Clafoutis! And speaking of Scratch… or From Scratch rather… I owe you all a HUGE THANK YOU because we just hit 2500 COPIES SOLD!!!!!! For our first, self-published cookbook, I could not be any more pleased and I am very thankful for each and every one of you purchasing, using, sharing, and loving this cookbook. Sincerely – thank you!!!! And sincerely. 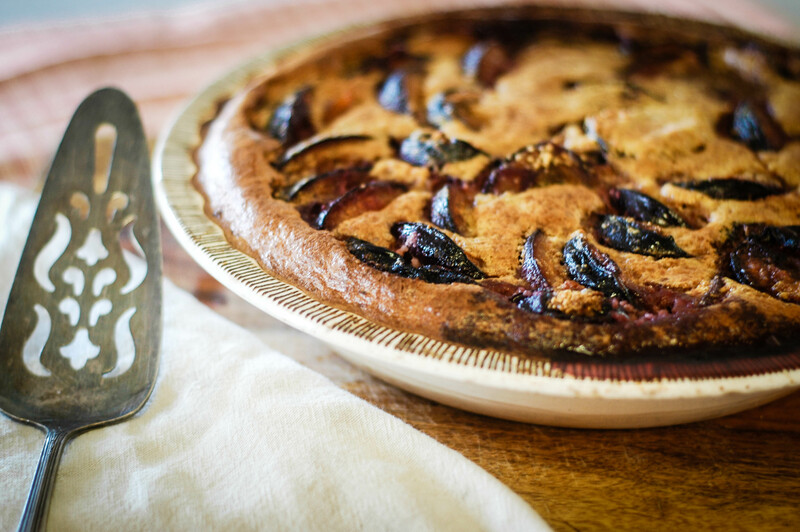 Make the plum clafoutis. And seriously. Order the book if you haven’t. And seriously. I’ll stop being bossy now. Plum Clafoutis. Trust me, you don't want to miss this one. Cut the plums in half and remove the pits. Lay, cut side down, in a baking dish. I’ve made this multiple times and used both a rectangular dish, as well as a pie dish – both worked great. 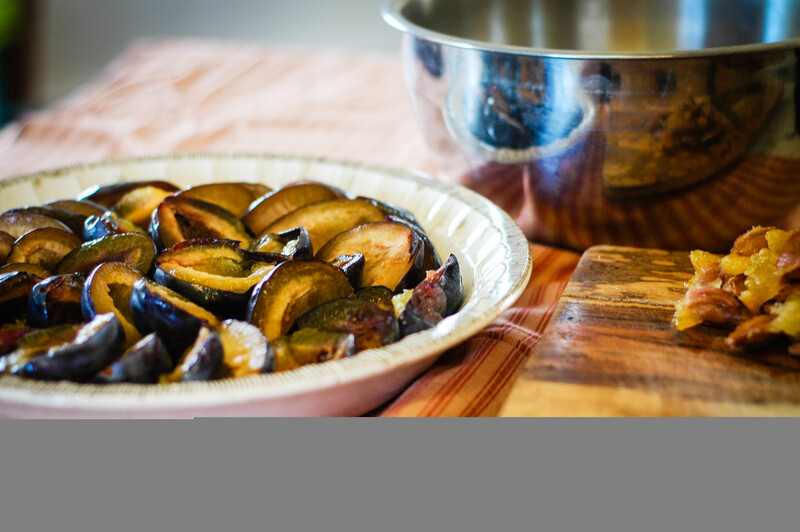 Sprinkle the plums with 3 tablespoons of rapadura. In a food processor or high-powered blender, blend together the eggs, milk, additional 3 tablespoons of Rapadura, almond flour, sprouted whole wheat flour (or additional almond flour), lemon zest, vanilla, salt, and nutmeg. 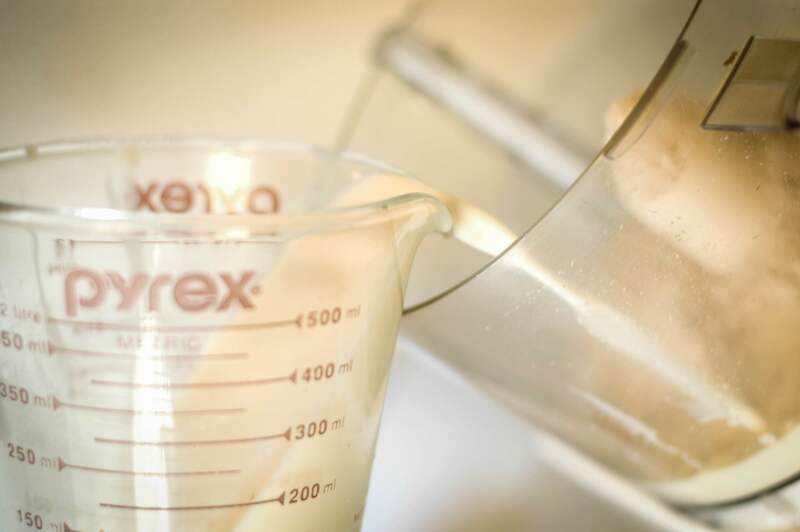 Blend for 1 minute or until nice and frothy and combined. Pour the batter over the plums. Bake in a preheated 375 degree oven for 50-60 minutes or until fragrant and golden. I’ve made fresh peach, pear, or cherry clafouti but never plum…the other versions were amazing, and I imagine this one will be, too! Can’t afford the Rapadura. I guess regular sugar would work also? Sometimes the organic stuff hits the wallet too hard. Do you know what I mean? No offense intended. Love your blog. do you think i could use frozen fruit? Came for the Homemade Larabars and stayed for the Clafoutis! So exciting! Thanks. This was great! Thanks. I don’t know if you look at comments on old posts, but I was wondering how to arrange the plums- I did cut side down as the written directions say, but in the photos they are sliced and cut side up. I am wondering if that is better. Also, could I use soaked wheat flour in place of the sprouted, or would that be too wet? Thanks. PS I found your site looking for sourdough waffles- I LOVE your recipe and have made them a lot. I can’t believe how soft they are with 100% whole wheat flour.